open from 12:00 till 18:00 after the launch. 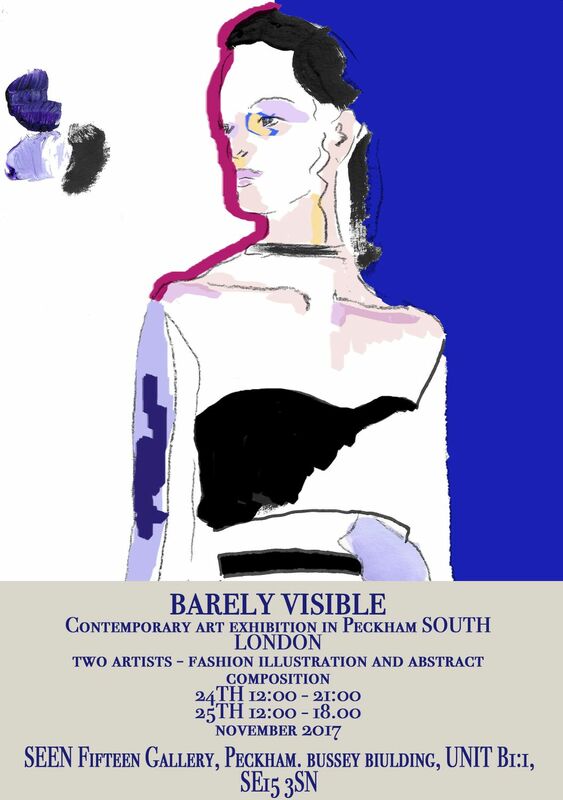 Barely Visible is a two-day contemporary art exhibition held in South London at the Seen Fifteen Gallery. Work from two emerging artists/students will be showcased. Barely Visible is a two-day contemporary art exhibition held in South London at the Seen Fifteen Gallery. Work from two emerging artists/students will be showcased. Finissage Saturday evening. The exhibition launch is an opportunity to examine the connection between two mediums of contemporary art when bound to a confined space. Bringing together both friends & family in an environment which is entirely personal to the artists.